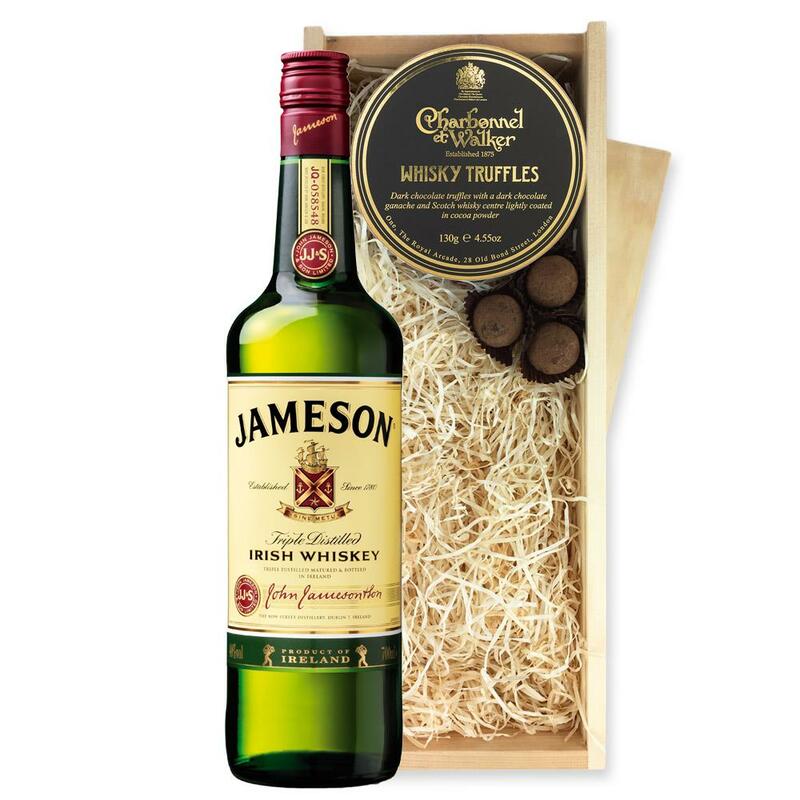 A single bottle of Jamesons Irish Whiskey 70cl & Charbonnel - Whisky Chocolate Truffles (130g), Presented in a wooden gift box with sliding lid and lined with wood wool with a Gift Card for your personal message. Jamesons Irish Whiskey - Founded in 1780 and produced at Midleton Distillery Co Cork by John Jameson and Son Today Jameson Irish Whisky is world famous for its distinctive flavour and smooth characteristics. Natural irish ingredients are triple distilled and oak aged to give this smooth whiskey. This product is hand packed onsite by Gifts International, and is not affiliated with any other brand. Gifts International is responsible for this product combination/set.